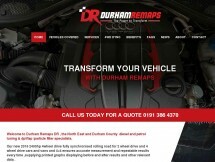 Id already attempted to have my car remapped by somebody who comes to your house and does the remap for fairly cheap price, however he lacked the knowledge that they have at Durham Remaps and left me with a fried ECU and a broken car, I was left without a car for nearly 4 weeks while I went back the dealer to be fixed! When I told Ian about it he knew exactly what had gone wrong and reassured me that they would be able to do the job properly. Although it was more expensive it was more than worth it! The car feels great to drive, you get results specific to your car and Ian is extremely knowledgeable so is able to answer any and all questions. I'll be taking my car back for further work and would definitely recommend them.